Banks use CD funds to make loans to other entities. 3. What Is the Difference Between a Money Market Fund & a Certificate of Deposit? A certificate of deposit, or CD, is a term deposit account that typically offers a relatively low interest rate. 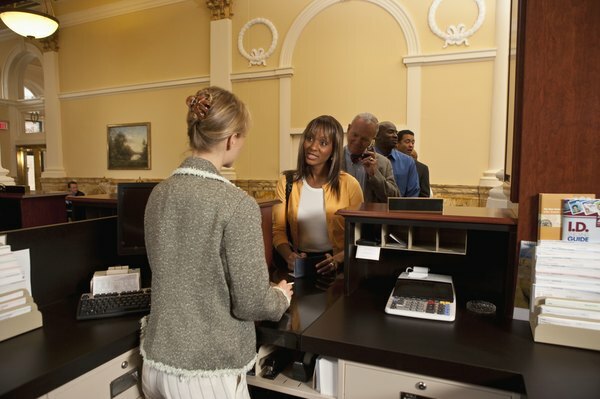 CDs are offered by banks, brokerages, savings and loans and credit unions. Terms generally range from one week to 20 years. At the end of a CD term, you can choose to cash out the CD or reinvest the original principal, along with any interest that has accrued. At many institutions, a CD will automatically reinvest to a CD of the same term at maturity. Shop around for a better interest rate. While CD rates may not be very high to begin with, different financial institutions offer varied products and rates. Depending on how much you are investing and for how long, a yield difference of 0.2 percent might prove significant. Typically, you'll find higher interest rates in longer-term CDs. That's because the bank gets to use your money for a longer period. Online banks might offer higher interest rates for CDs of the same term than brick-and-mortar institutions. Examine adjustable-rate CDs. With these CDs, a bank will adjust your interest rate upward at maturity if interest rates rise during the CD's term. With such a CD, you can feel secure knowing you'll get higher rates, should they become available. If you are buying short-term CDs, this feature can prove especially attractive. Take a look at liquidity. A liquid CD is a CD from which you can withdraw funds without penalty before maturity. Liquid CD rates might be lower than rates of the typical CD. But if you feel you may need to get at the money, the trade-off might be worth it. Check the calendar. Most institutions give you about 10 days from the date of maturity to give instructions about whether to cash out the CD or invest the funds in a different product. Contact your bank or brokerage. Visit in person or get in touch with the institution by phone, fax or email, and explain how you want to reinvest your funds. For example, if you currently hold a seven-day CD, you might want to reinvest in a one-year CD. Give the bank your original CD account number. Look for a new certificate by mail. A new CD selection requires the generation of a new certificate. Once you have signed it, make a copy for your records and return the signed original to the bank. If you decide to take the plunge into a long-term CD, be aware of the potential pitfalls. First of all, you'll lock your funds into what might be a low rate for a period of years. If interest rates go up in the interim, you'll lose out on potential income unless you've invested in an adjustable-rate CD. Withdrawing the funds early can be foolhardy, unless the CD allows withdrawals. CD penalties, as of this writing, range on average from three months' interest for CDs of less than a year to six months' interest for longer-term products. Some products levy an early withdrawal penalty of one to two years worth of interest.